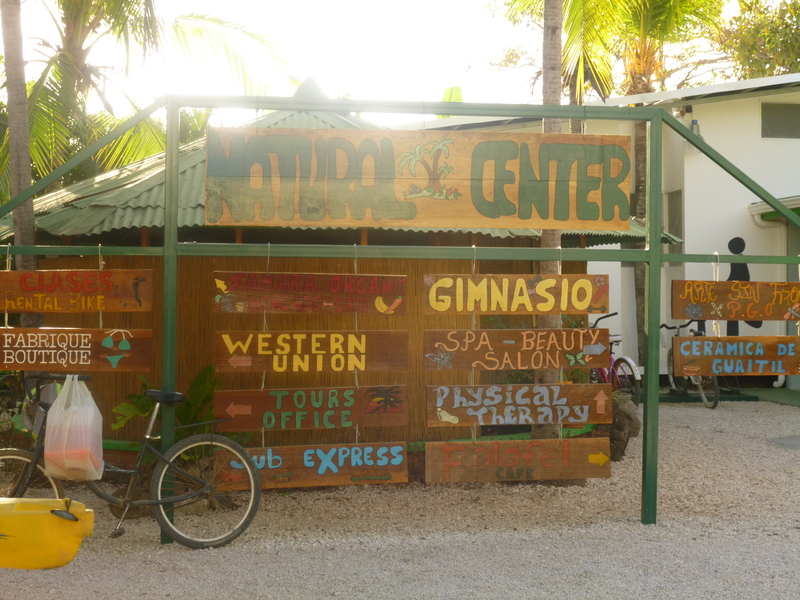 Writing our favourite places post for Nosara is super hard for two reasons. First, we are staying in this small little town for almost a month. Second, it is full of so many awesome little places I want to write about. So, as with many of my posts that I feel the need to blab on about, I’ll break this up into two posts, or maybe even more! Regardless, you have to start somewhere, so here are our first couple favourite places in Nosara! 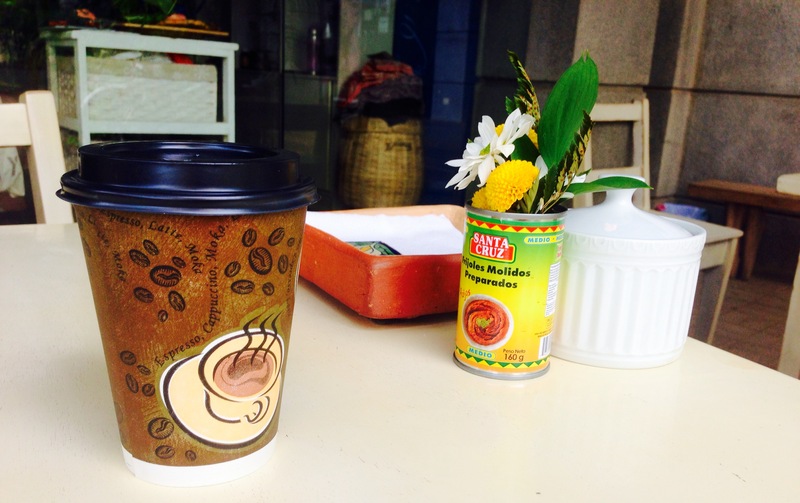 Baglemans: This little coffee shop first caught my eye during my morning run. Well, I guess it didn’t really catch my eye so much as it caught my nose! The deadly delicious smell of baked goods wafted across my path and left me salivating mid-run. As much as I wanted to pop in for an immediate carb load, I managed to restrain myself until later that afternoon. Shaun and I stopped in for a coffee and a treat. My Cappuccino was fabulous, warm and rich. 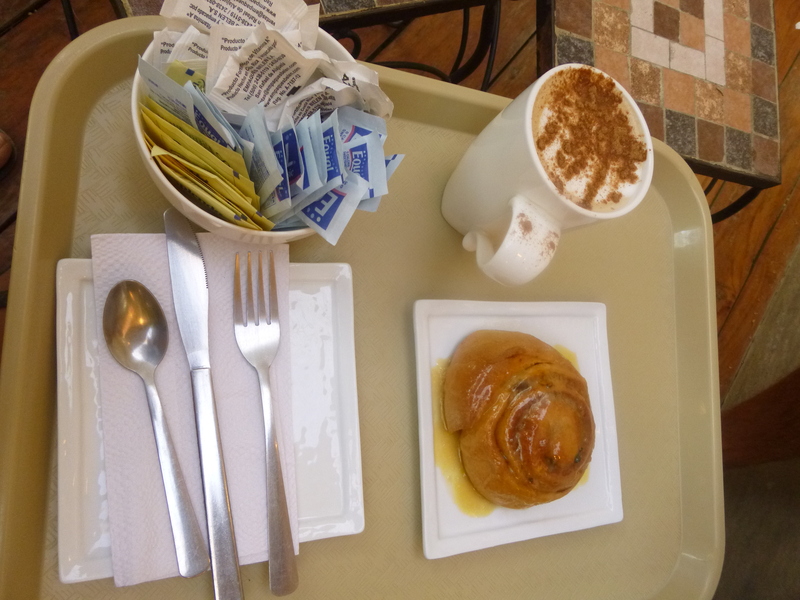 Plus they had an awesome deal on where Shaun could get a warm cinnamon bun pretty much for free with my purchase. Budget friendly sweet treats? We are in! We sat outside enjoying our purchases, vowing we would be back. We came back a couple days later, and although that specific deal wasn’t on at that time, we still managed to enjoy our indulgences. Bagleman’s has tons of great lunch combos, as well as a full coffee menu. It’s got a relaxed vibe, free wifi, and an aroma that is to die for. 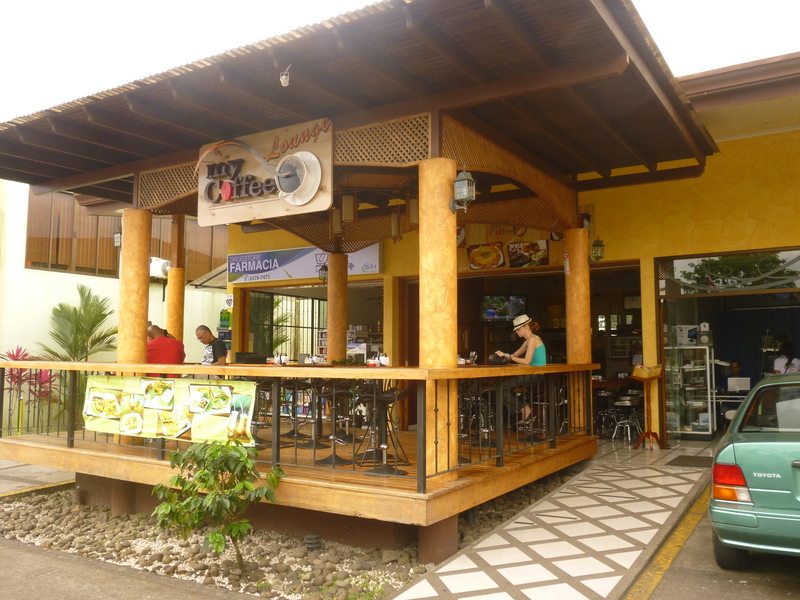 It wasn’t until later that I actually discovered that this place is considered a “fast-food” chain in Costa Rica. I haven’t seen one anywhere else on our travels, which is probably a good thing, since I would likely have to stop in every time! 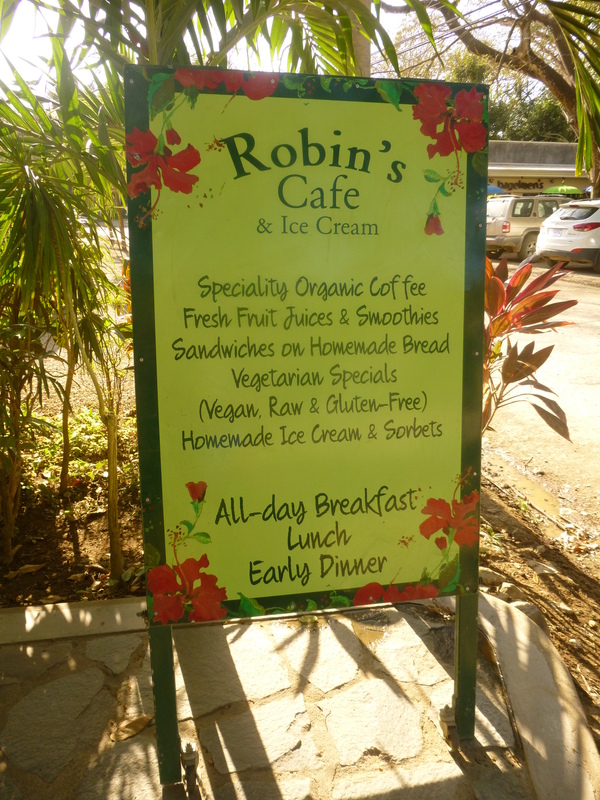 Robins Ice Cream: I had read great things about robin’s on Trip Advisor, so I knew I would be checking it out. All I needed to hear was that there was gelato, and I was sold. It doesn’t look like much from the outside, but their menu is huge and extremely unique for Costa Rica. 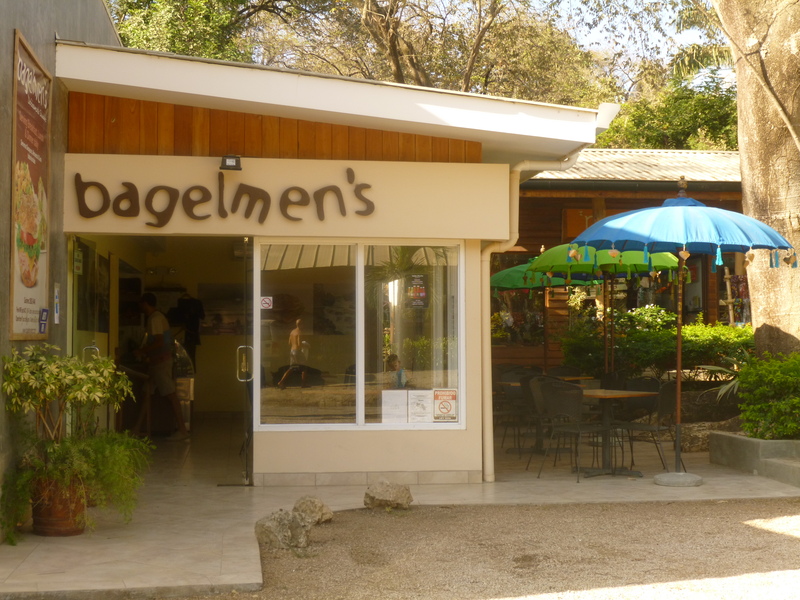 They offer tons of organic and gluten free breakfast, lunch and early dinner options. The day I was there their special was a vegan sushi roll which looked amazing. Shaun is making some big decisions there in the background! Shaun and I popped in here twice during our stay. Both times for ice cream/sorbet. He had oatmeal chocolate chip, and coconut while I opted for a of vegan pineapple-ginger and tropical lime. We can officially vouch for all of those flavours. Don’t worry though, we are willing to continue our taste test when we get back. The things we do for the blog! Oh, they also sell Pipa’s in their cooler! So if you are too lazy to nip down to the beach to track down a vendor, you can always stop here! 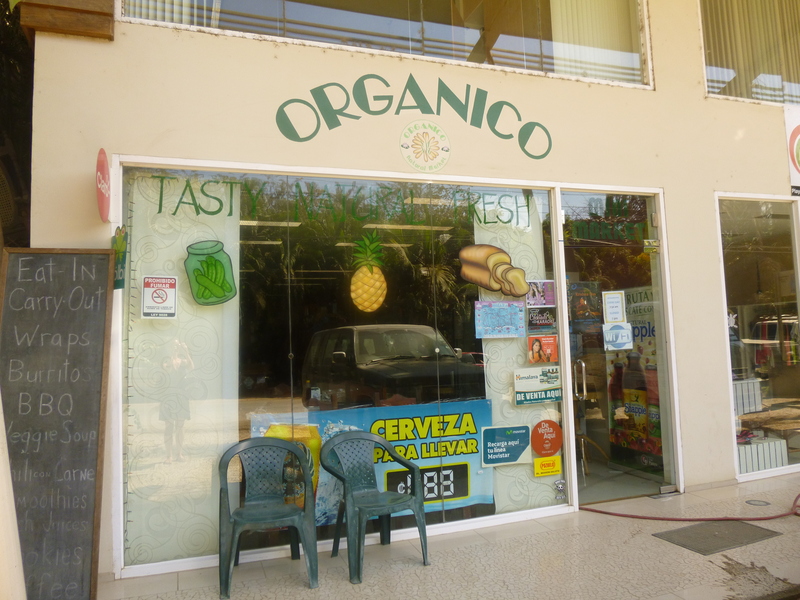 Organico: Health Food Store ALERT! 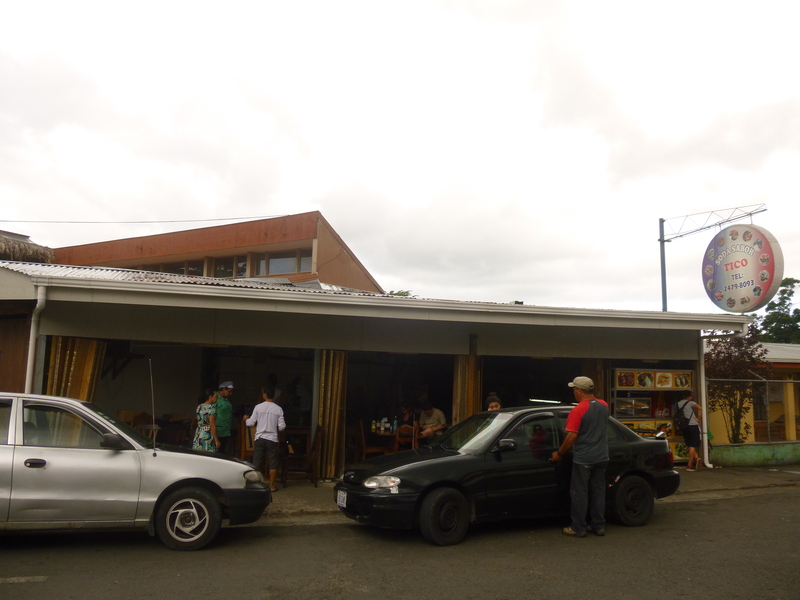 Obviously from my Favourite Places posts from Mal Pais and Santa Teresa, I’m a big fan of health foods stores. 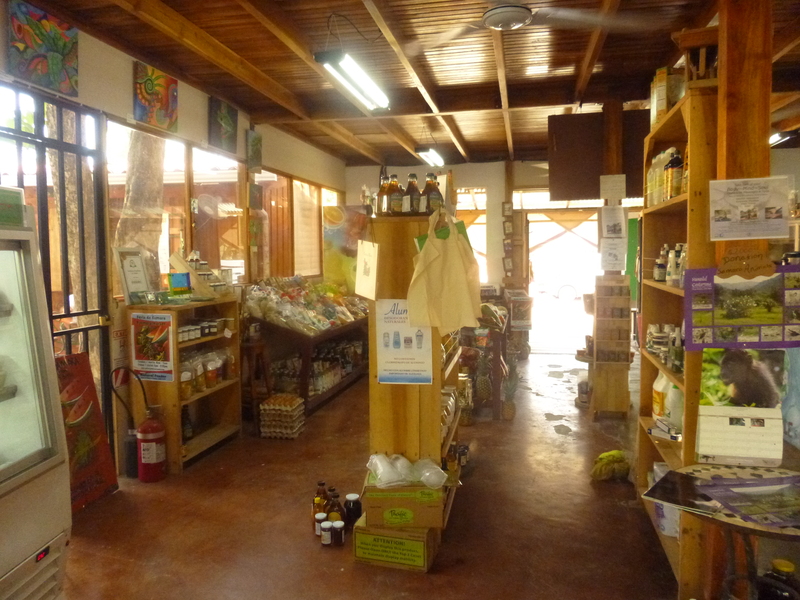 Organico is awesome because its a full on grocery store and health food store in one. Often times, the health food stores I encounter have a really limited selection, as merchandise tends to be difficult to get here. I felt like Organico had it all. Organic veggies, meats, quinoa, even ice cream. A huge perk of Organico is their bulk section. I haven’t seen bulk food anywhere in Costa Rica and hadn’t realized how much I’d missed it! I’m thinking I’ll be picking up for supplies for granola next time I’m there! Organico also has a little cafe in the front of the store that sells healthy sandwiches, salads and juices. 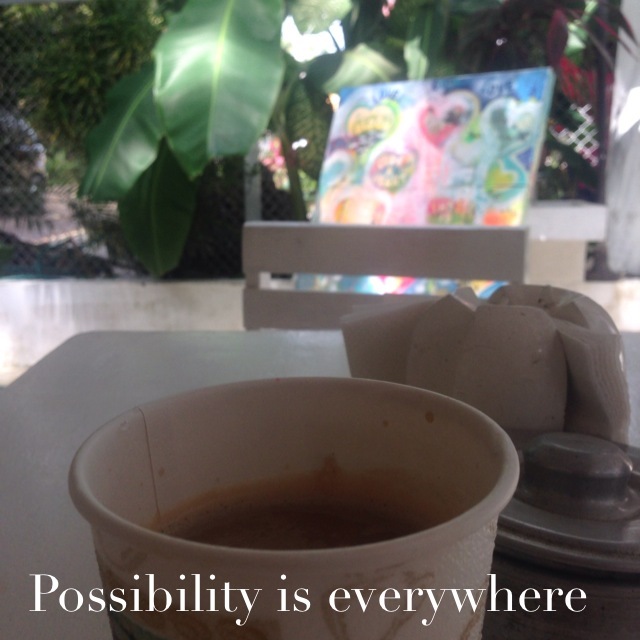 With so many amazing things to offer, there is no doubt in my mind that I will be frequenting this awesome business a lot during our travels back in Nosara. So there you have it, another round up of our favourite places. If you enjoy the series, check out our other Favourite Places Posts. As always, if you have any questions about these, or other areas, leave us a comment below, or message us on Twitter or our Facebook Page. 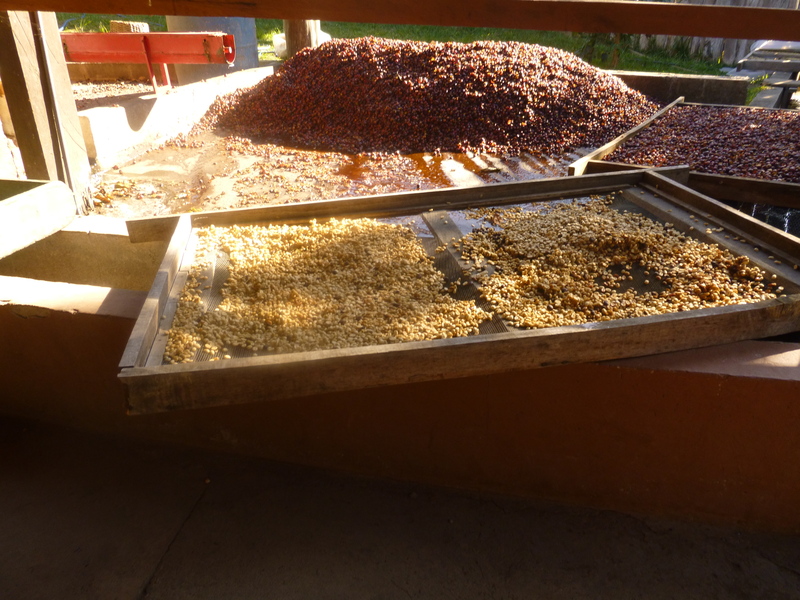 Hola, before you dive into the post for today, make sure you check out Part 1 of our tour of the Don Juan Coffee Plantation Tour. So after learning all about coffee, it was time for a little insight into the world of chocolate. It started with slicing open a cocoa pod. First off, lets just take a moment to appreciate how COOL these things look. I sort of assumed that chocolate game from little vanilla bean looking things (I’m not sure why). These are full on massive pods that are hard as rocks. I was impressed, and it wasn’t even opened yet. Instead we were met with these little guys. 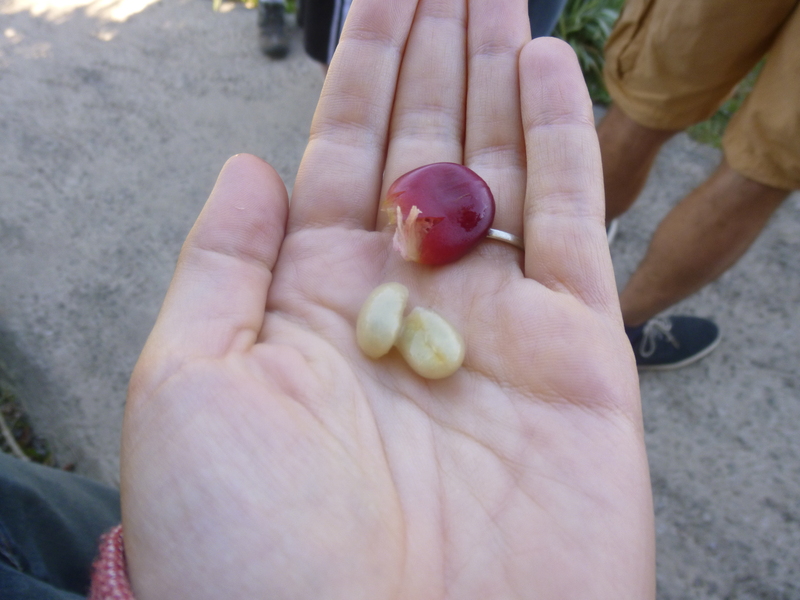 These white triangular seeds were slimy and had the slightest hint of cocoa flavour. Just like the coffee cherries, there were no biting these babies, as the inside would not taste good. 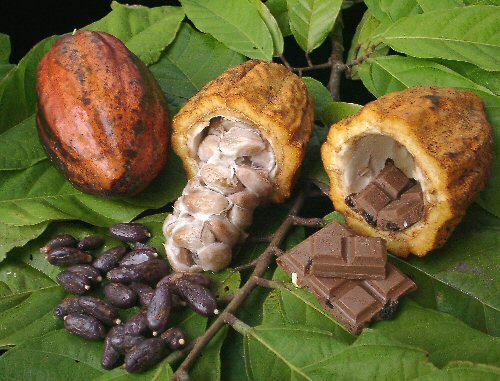 The process for the cocoa bean is similar to the coffee bean. 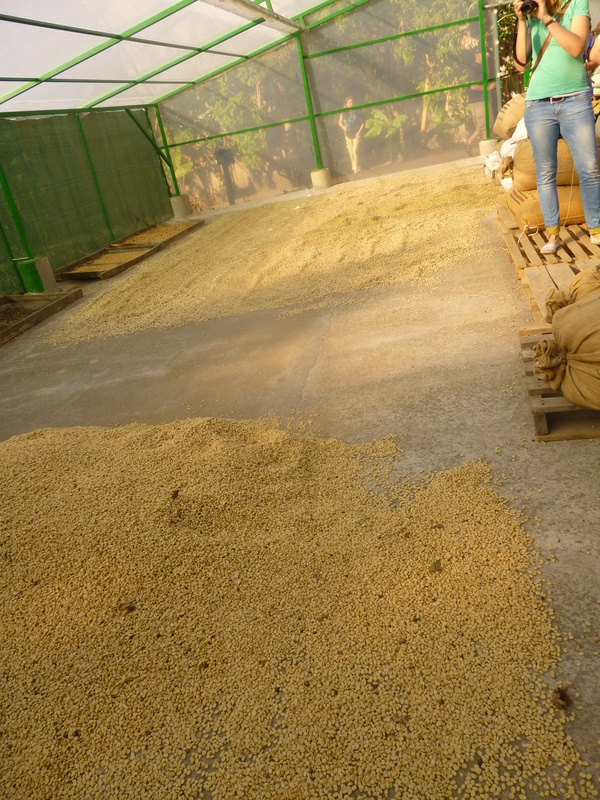 They are dried to remove the liquid, then roasted. Once they are roasted, it’s time to make some chocolate. 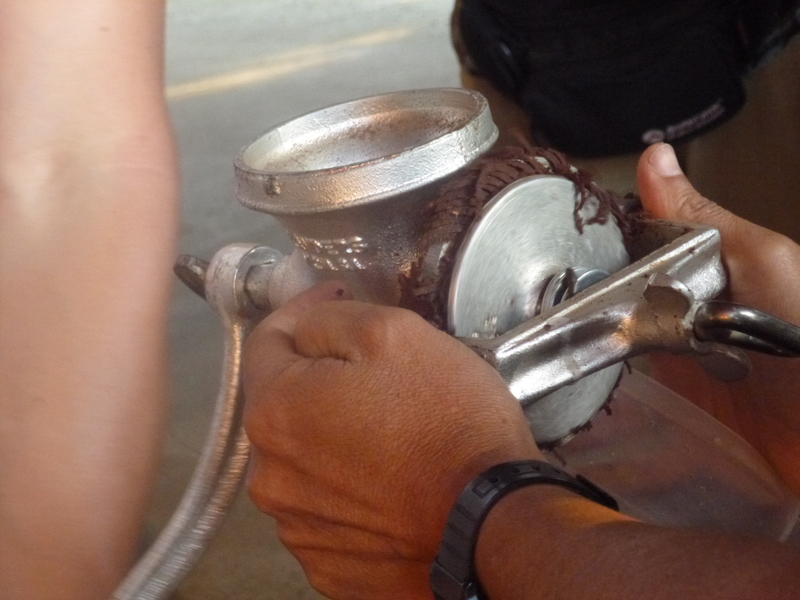 Our guide took some roasted beans, popped it in a hand crank grinder, and started turning. 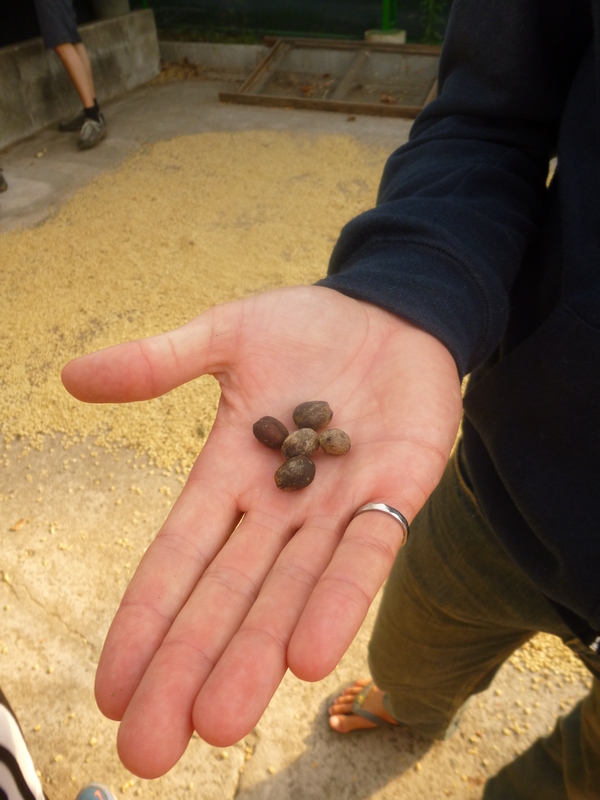 It was crazy to see these little dried gross looking beans go in, and full on chocolate looking magic come out. All of a sudden the aroma in the room changed, and everyone stomachs started grumbling. Nothing follows a coffee tasting better then some fresh chocolate. Despite the fact that this chocolate looked and smelled delicious, it is as pure as it gets.It’s like when you were a kid and went searching through your moms cupboards. Suddenly you come across chocolate and get so excited you pop it right in your mouth…only to discover it is bitter baking chocolate. Such a dirty trick. or was that just me who did that? Anyways, this wasn’t the chocolate we were going to sample. 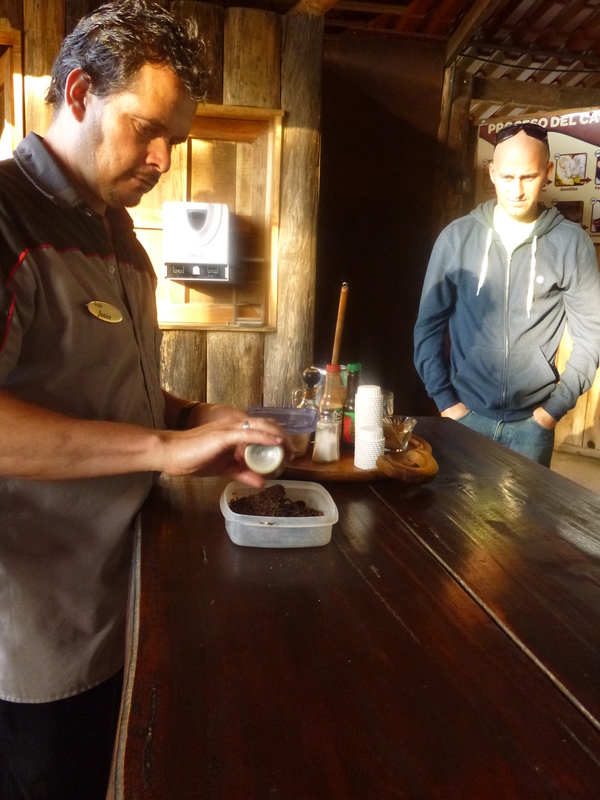 Our guide took the chocolate and started creating a special concotion. He started with sugar, and a lot of it. It certainly made me think about the supposed “health benefits” of chocolate. Something that needs that much sugar to make it taste good can’t be all that healthy for you. After the sugar he added cinnamon, vanilla, and the secret ingredient, black pepper. We each had a tablespoon of this gritty sand like chocolate magic, and it was GLORIOUS! He then took the remaining mixture and added hot sauce to it. We tried that version and it was even better. I love the spicy chocolate mixture, it will be something I remember for when I get home! My batch with hot sauce! Amahzing! western versions. Somehow white chocolate, dark chocolate, and chocolate covered coffee beans ended up in my belly. After all the coffee, chocolate (and a sample of pure sugar cane juice that I forgot to mention) we pretty much buzzed our way back to the reception. Oh, and I forgot to mention one of the coolest things! 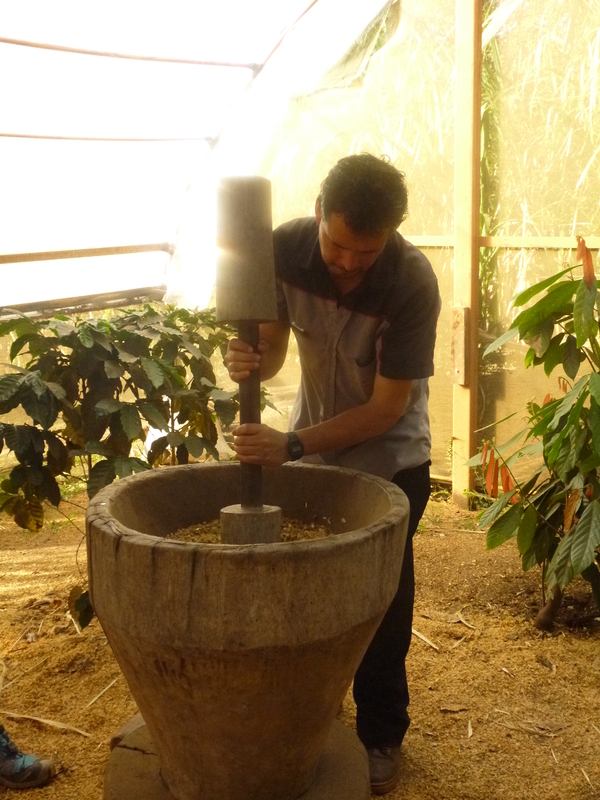 At the start of our tour, our guide told us a little bit of history about Don Juan Cruz, of Don Juan’s Coffee Plantation. He was part of one of the first pioneering families to settle in Monteverde, and has an enormous number of children and grand children. I thought he had 9 kids, Shaun thought 11, but either way he has well over 20 grandchildren. Note to self: start writing things down! 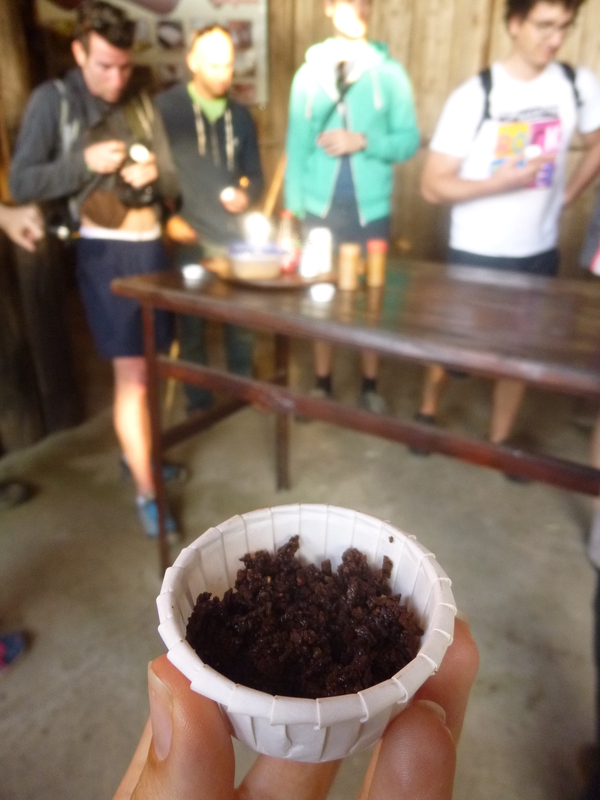 Anways, during the chocolate portion of our tour, we noticed our guides eyes light up. We all turned around to see a very small, very old man come into the room. Yes my friends, it was Don Juan himself. I suddenly felt like I was meeting someone famous, or at least a Disney character. He was certainly an amazing fellow, and walked around the room shaking everyone’s hand, and thanking them for coming on the tour. In an attempt to not seem like paparazzi, I had Shaun snap this very unsneaky photo. Such tourists. So that about sums it up! 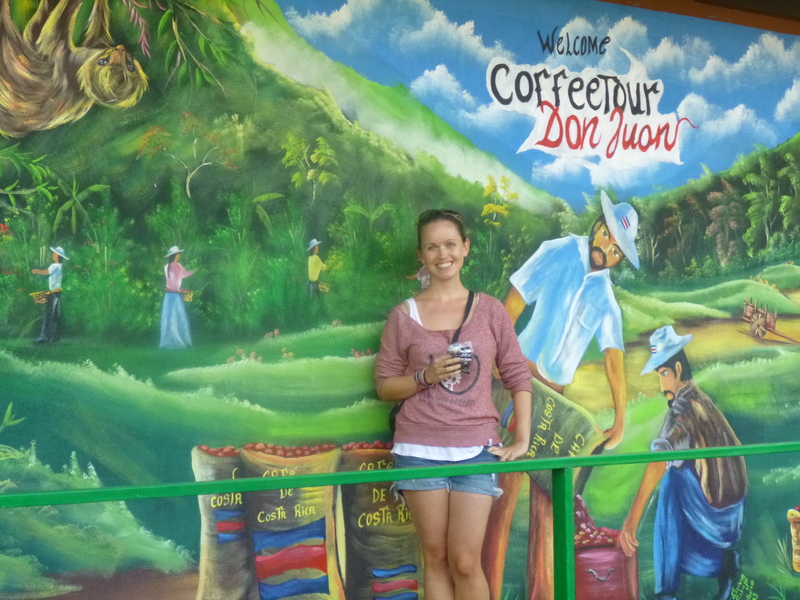 If you are in Monteverde, we highly suggest checking out the Don Juan Coffee Plantation Tour. But be prepared, you will be leave with a brain full of knowledge and body full of caffeine buzz! Are you a coffee person or a chocolate person? 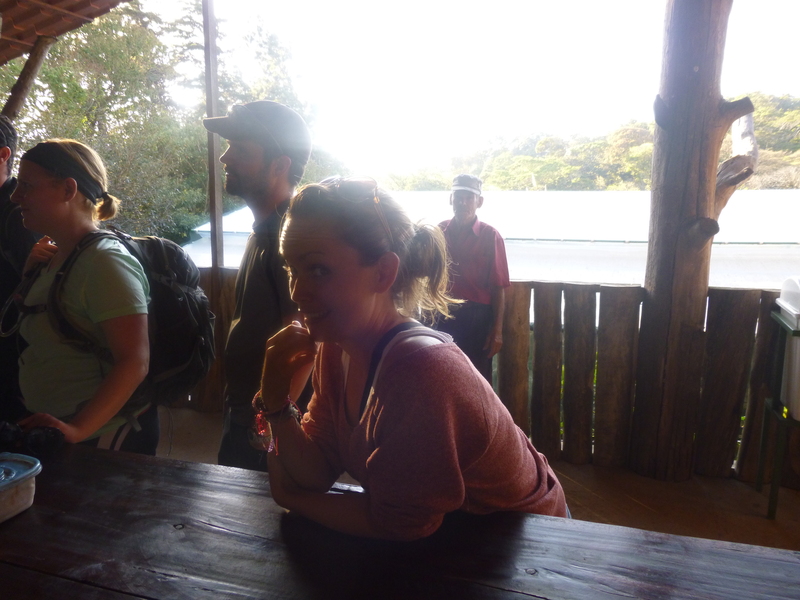 I have to say, I really loved Monteverde. After getting out of the hustle and bustle of the tourist scene of La Fortuna, this quaint little town was way more my scene. That being said, there certainly was no shortage of things to see and do there! Although we were only in town for three days, they were very busy and full of all sorts of adventures. 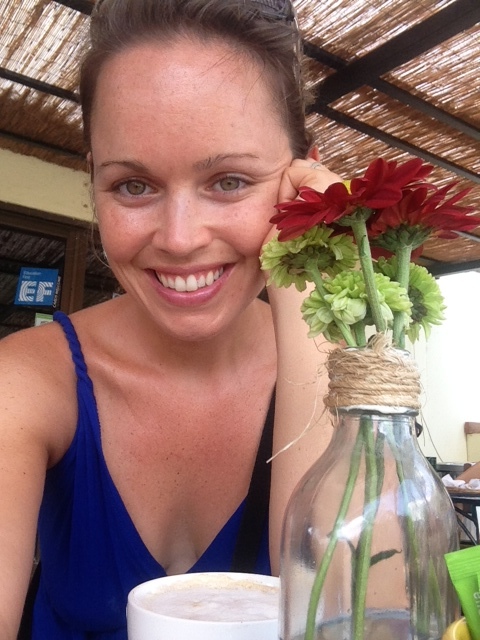 Despite the hectic schedule, I did manage to track down a couple of my “Favourite Places” for you to check out. Sabor Tico: If you’ve been following the blog closely, you may recognize this name. 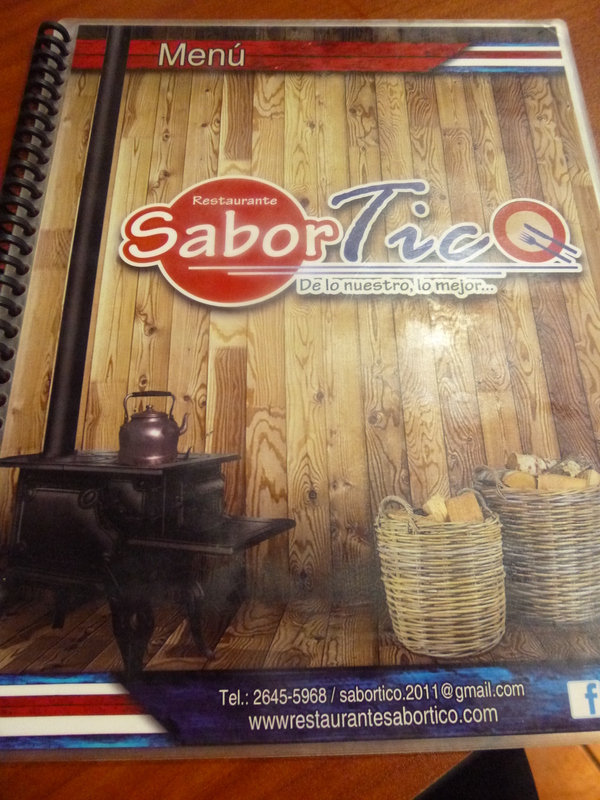 Yes in fact, there is a Sabor Tico in La Fortuna as well, and it was also one of our favourite places…well it was actually Shaun’s favourite place, as I never actually ate at it. This Sabor Tico is very different, and having experienced it first hand, I can attest that it a truly delicious place to dine. Sabor Tico is like a traditional soda gone mainstream. Their menu is chalk full traditional Costa Rican favourites, but their restaurant area is a little fancier then what you would find in a regular soda. Don’t worry though, cause it tastes like mama is still cooking up a storm in the kitchen, because everything we ate there was unreal. On the night we visited we went all out. I was so excited to see they had tamale’s on the menu, because I hadn’t seen any during our trip yet and at only 900 Colones, how could I resist? 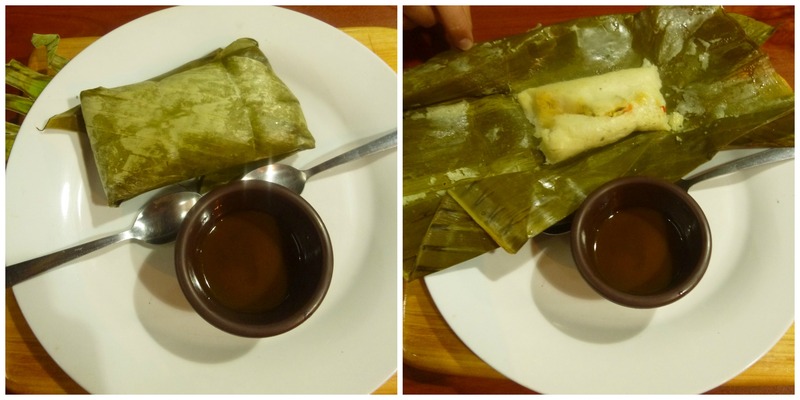 Tamales are a dish famous for being served at Christmas here in Costa Rica. The base is masa, usually made from a corn flour dough, then there will be meats, cheese, veggies or sometimes even fruits inside. All of this deliciousness is wrapped up in a banana or plantain leaf and steamed or boiled. I can see why people would eat these at Christmas, it’s like opening a present when you eat them! Ours was full of chicken, and veggies. We combined it with a little Lizano and it was an awesome little appy to share. Woosh, What a Tamale Tangent! The rest of our meal was just as amazing. 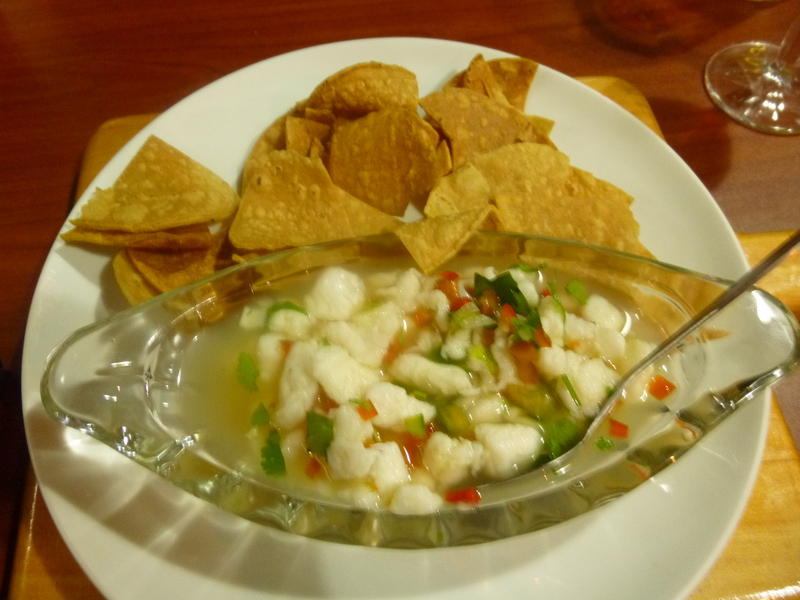 I got some ceviche, while Shaun got a Fajita. Both were fabulous! 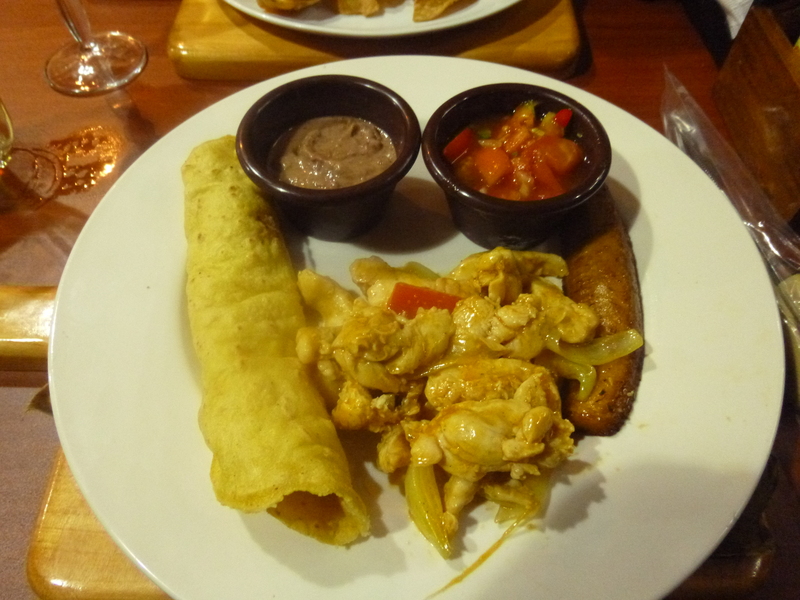 Sabor Tico is an awesome place if you are looking for some delicious Costa Rican favourites. They are so popular, that they actually have two locations. 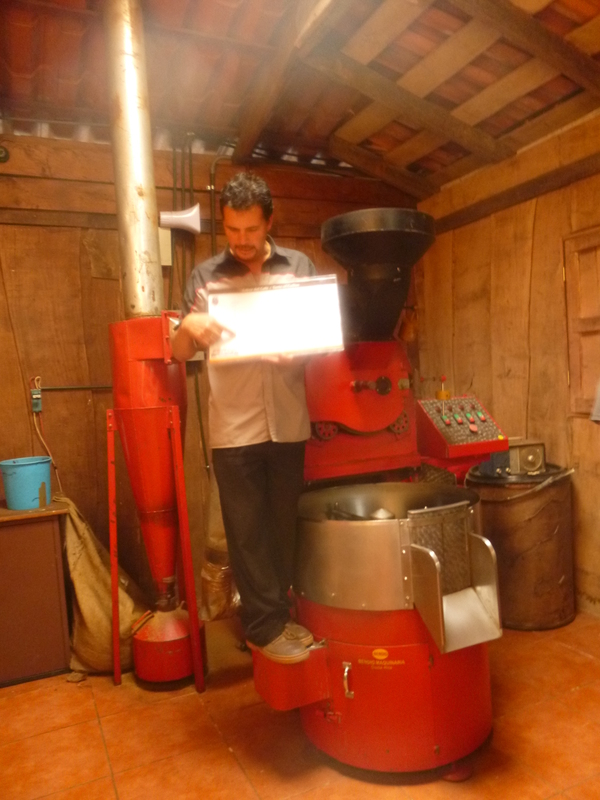 The original location is in Santa Elena, while the new location, the one we went to, is in Monteverde. They are only 2km apart so you could hit one up for lunch, and one for dinner! 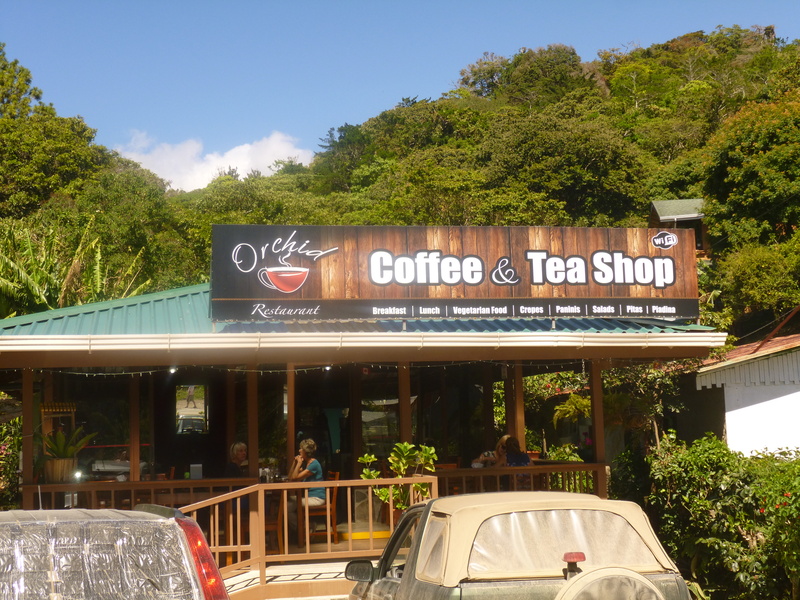 Orchid Coffee & Tea Shop: I took one for the team again here in Monteverde, and checked out several coffee places to see which ones were the best. The things I do for you guys. Orchid Coffee was my first stop, because it had such a high rating on trip advisor. It did not disappoint. Despite being in Monteverde for such a short stint, I somehow managed to indulge in several Cappuccino’s at this establishment. I would suggest trying the Spiced Cappuccino with Cinnamon, Nutmeg…and maybe Ginger? Regardless, it was a really nice twist on my traditional coffee choice. 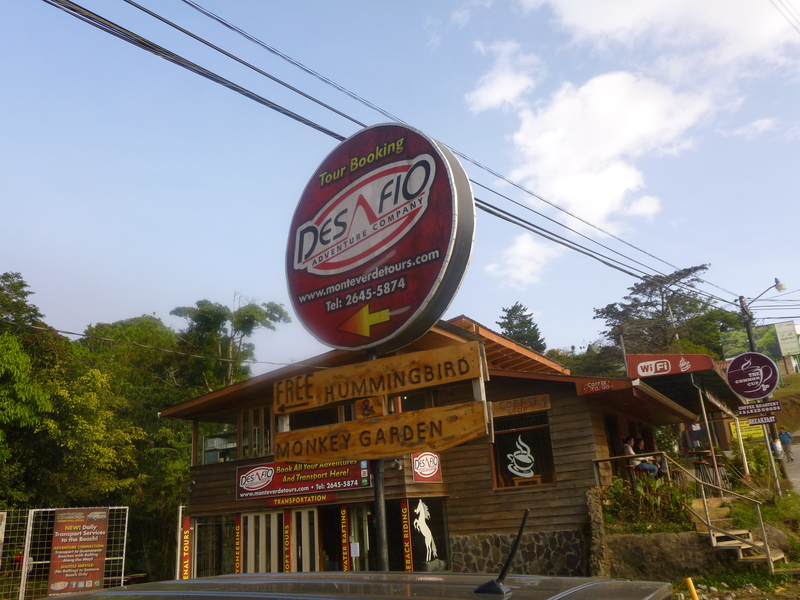 Desafio Monteverde: Although I am a little biased, because I absolutely love this company, Desafio Monteverde was still one of our favourite places. The staff are incredible, and will set you up with everything you need to make your stay in Monteverde beyond memorable. 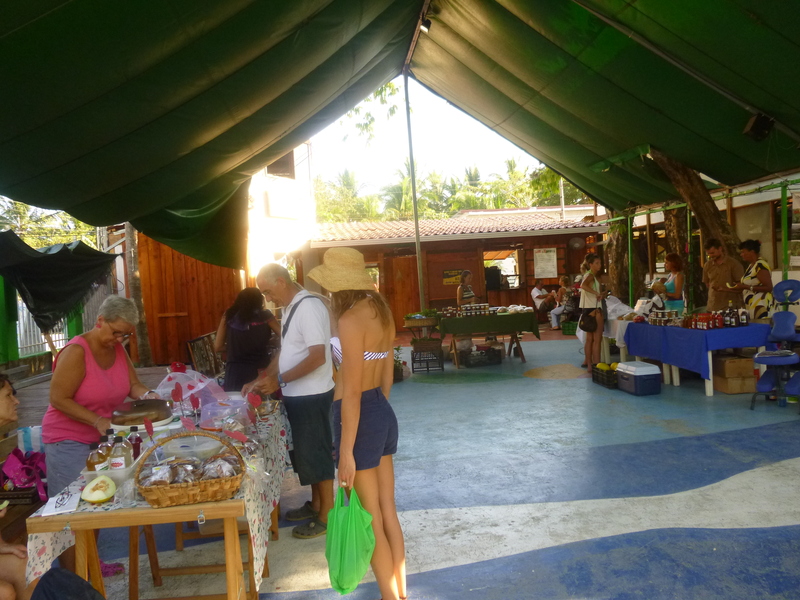 So whether you are looking for a tour, wanting to see some hummingbirds/monkeys, or just wanting to meet some really awesome people, stop by Desafio Monteverde, and tell them I sent you! That’s a wrap on another edition of our Favourite Places. Check out other posts in this series, and as always feel free to pop us any questions in the comments below or on Facebook. As I mentioned before, we were kind of grouchy during our stay in La Fortuna. That being said, we did manage to rustle up a few of our favourite places for you to check out. The entrance, I loved this little patio. 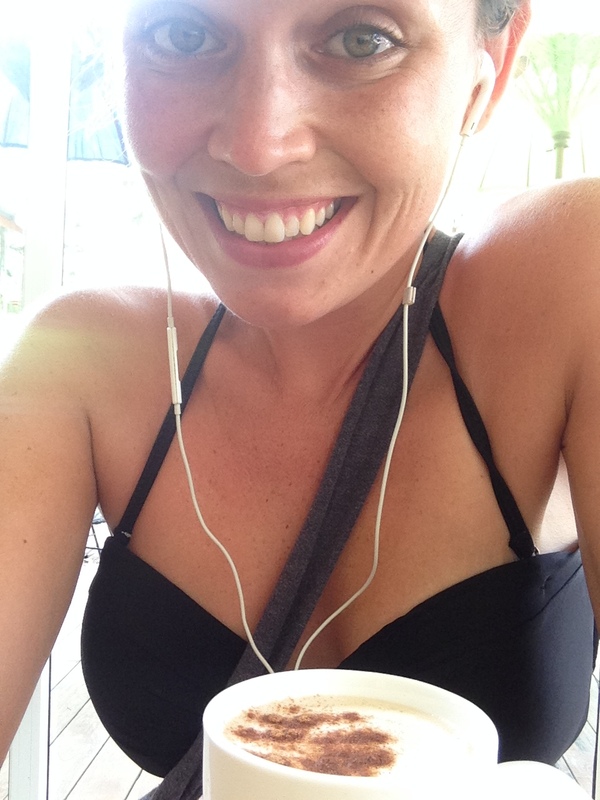 My Coffee: Seriously, what would a “Favourite Places” post be without a coffee shop. 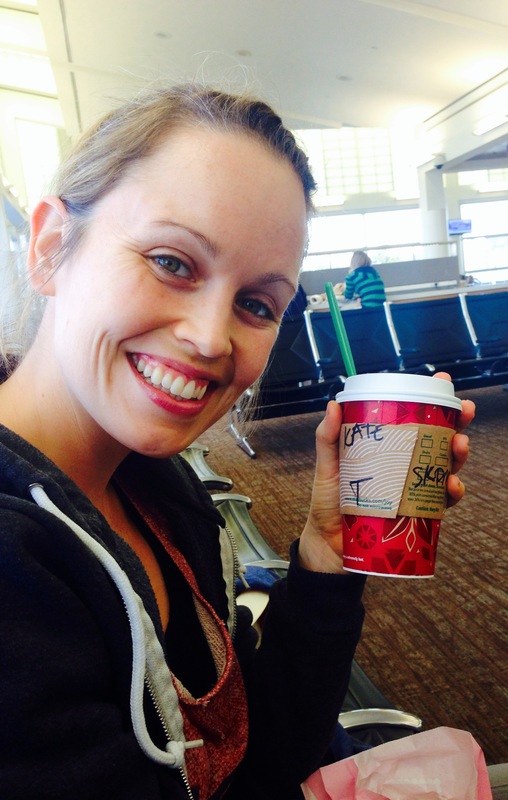 Being away from the beach certainly had one huge perk, we were now in the land of coffee! 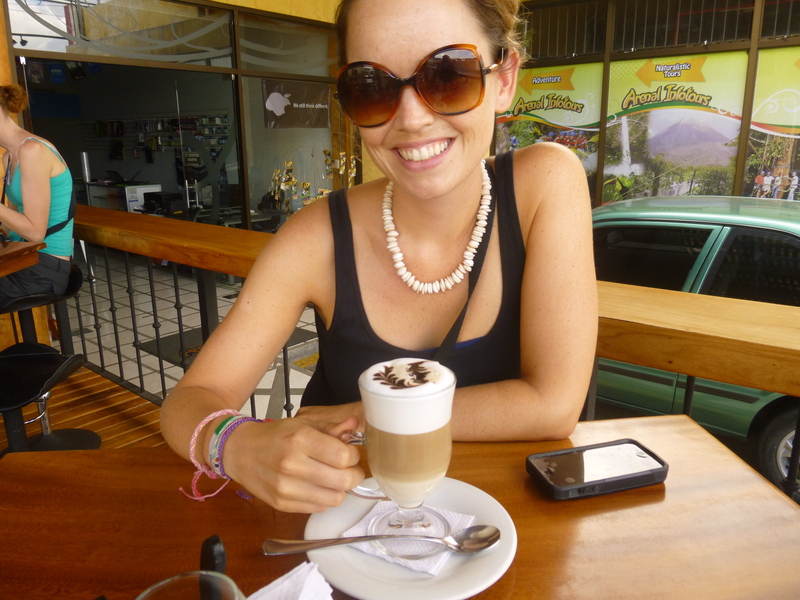 There were coffee shops everywhere in La Fortuna, some of which even grew their own beans. I was a trooper, and tested out three different shops before deciding on my favourite. I had to put my glasses on because I looked so tired, this coffee helped! My Coffee is centrally located right across from the central park. It’s actually a nice combination of restaurant and coffee shop. I could have easily gone there for a glass of wine and dinner, but I also didn’t feel bad just ordering a Cappuccino and sitting down. Their service is wonderful, and it is apparent that the owners take a lot of pride in their establishment. Little touches like bringing you water, and playing ziplining videos on their flat screen really make them stand out. 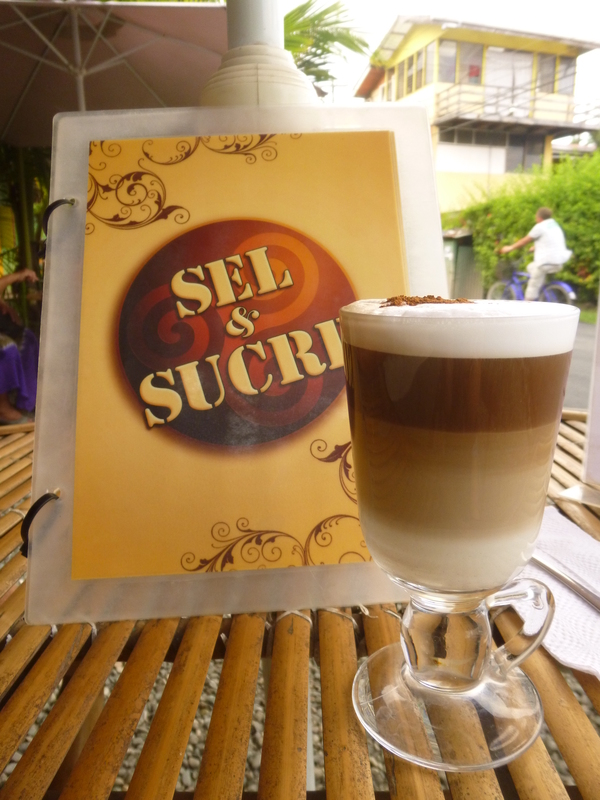 If you are looking for a delicious coffee in La Fortuna, I would highly suggest My Coffee. Doesn’t look like much I know! Soda Sabor Tico: I can’t take credit for this place, it’s all Shaun. During our time in La Fortuna, Shaun was definitely getting sick of chickpeas and eggs and was on the hunt for some delicious, and cheap grub. He struck out one evening on a quest for a burger and fries. When he returned, I could tell he struck gold. Not only had he found a soda that sold a burger and fries for 5 dollars, but it was half a block from our hostel. This soda sold both typical Costa Rican, and western food. It was always packed, a sure sign that it is a good place to eat. If you are looking for a bargain, this is a great place to go. It was a cloudy day, but I swear there is a volcano there! 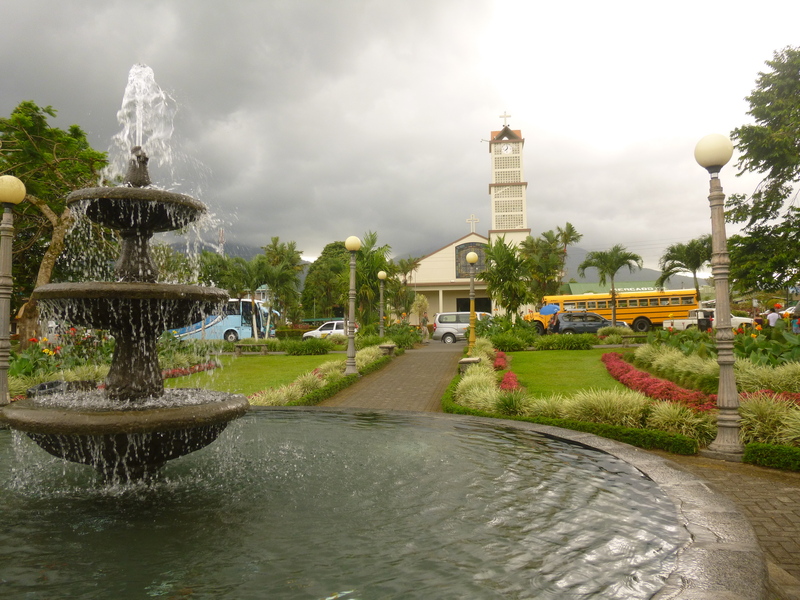 La Fortuna Park: This park isn’t hard to miss, it is literally the centre of La Fortuna. 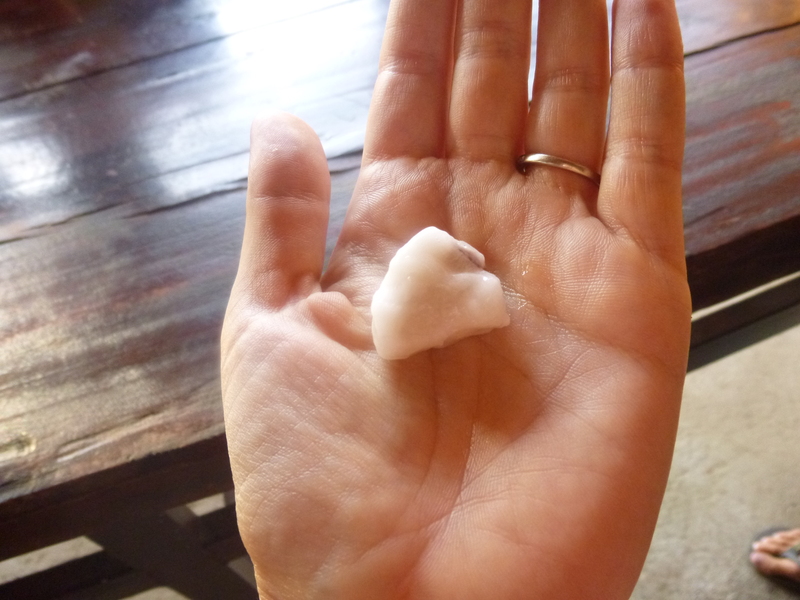 Like I said in previous posts, there isn’t much to do in La Fortuna outside of tours. So, I ended up spending a lot of time in the park. It’s not huge, but it has a lot of benches, and other places to sit, enjoy a coffee, and marvel at the Arenal volcano looming overhead. The church in the background is also worth checking out. I popped in one afternoon while I was wandering around and It is gorgeous inside. So there you have it, anther edition of “Our Favourite Places” is complete. As always, if you have questions about this area, or any others we’ve visited. Feel free to ask in the comments below, or on our Facebook page.